“Greywater is a fabulous, though often underused, household resource that should be used wherever possible. 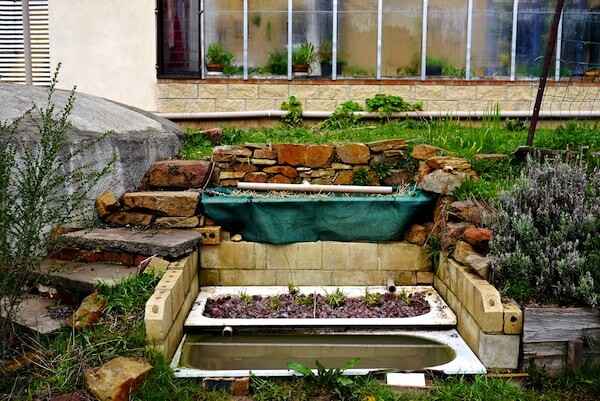 Here’s a home made 3 bathtub greywater system that’s simple but effective. If you live in an area where water is precious at certain times of year (and when is it not?) then catching, storing and using every drop you can to create a more liveable home and surrounds is an excellent idea. At Melliodora in Victoria, the studio cottage does its best to do just that, by catching, filtering and re-assigning the greywater to useful purposes in the garden. “A forest can feel like a place of great stillness and quiet. But if you dig a little deeper, there’s a hidden world beneath your feet as busy and complicated as a city at rush hour.